The perfect long sleeve track jacket. 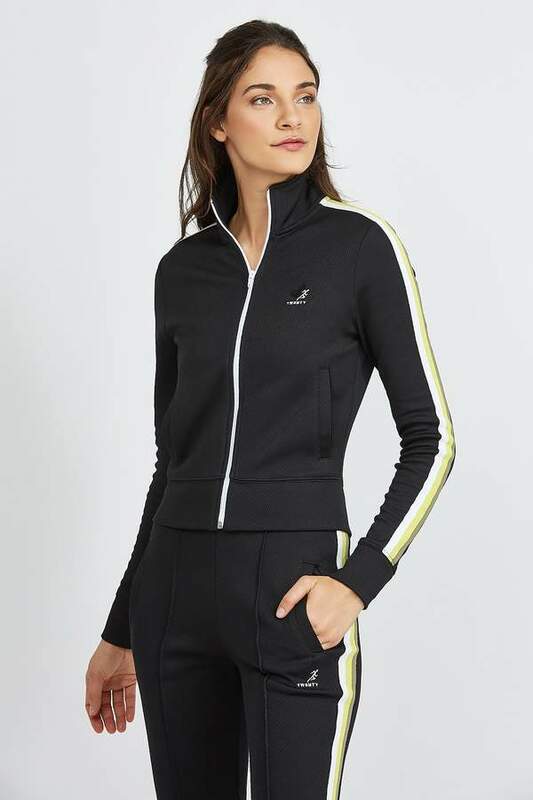 With a slightly cropped profile, this zip-up also features mesh detail and contrast metallic stripes. Front pockets. 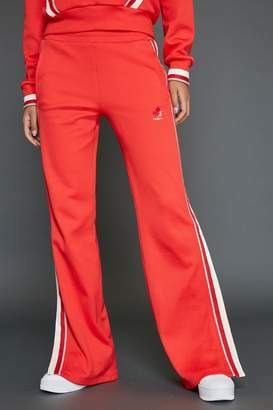 Model is 5'10" and wearing a size small.